Empowered by our deft workforce and quality driven approach, we have acquired a top position in manufacturing and supplying a premium range of Thermocol Packing Sheet. The offered product range is available indifferent bore sizes and widely used for the packaging of different items. 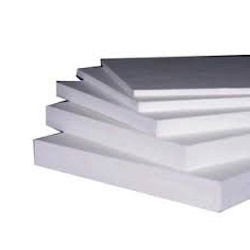 This sheet is manufactured using high grade thermocol and latest technology. Our patrons can avail this pipe section from us at marginal prices. We “Amit Enterprises” are a renowned Manufacturer and Supplier of a wide range of Thermocol Packing Product, Thermocol Medicine Box, Thermocol Packing Block, Insulation Sheet, EPS And Thermocol Pallet, etc. Established in the year 2000 at Faridabad (Haryana, India), we are supported by our ultramodern and huge infrastructural unit that is the main strength of our organization. For the smooth functioning of the entire business process, we have properly segregated this infrastructure into different divisions like procurement, manufacturing, quality testing, warehousing & packaging and sales & marketing. Well-facilitated with the modern machines and tools, all these divisions are controlled by our skilled and experienced team members. Due to this segregation, we have been able to meet the different requirements of the clients within scheduled time frame. Owing to our ethical business policy, reasonable product range, excellent transport facility, market reputation and positive record, we have been able to gain huge success across the market .